NO FREIGHT / NO SET UP ON THIS MOTORCYCLE. NO FREIGHT / NO SET UP FEES ON THIS MODEL!!! 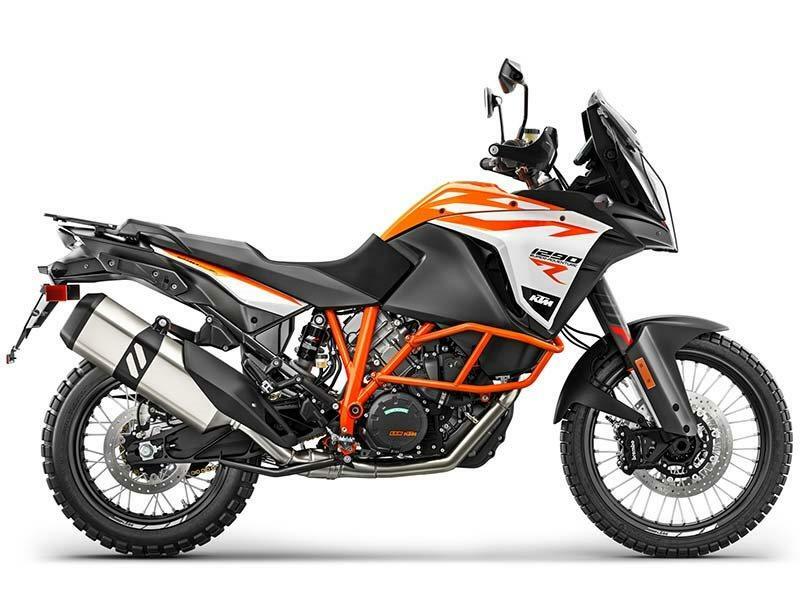 THE BENCHMARK: The KTM 1290 SUPER ADVENTURE R sets new performance standards: 160 hp and a weight of only 240 kg (ready to ride - fully fueled) produce a power-to-weight ratio previously unheard of in this class. The dynamics are stunning. At the same time, the powerful yet cultivated engine enables either particularly relaxed riding or, if required, super-sporty propulsion – with every conceivable level in between. The chassis combines lightness with outstanding geometry and suspension, which, together with every electronic riding aid we could muster, allow undreamed of riding pleasure in all conditions, at whatever speed you desire. From very relaxed to very, very fast. ENGINE: Based on the 1,301cc V-twin of the KTM 1290 SUPER DUKE R, aka “The Beast”, the KTM 1290 SUPER ADVENTURE R is clearly the Alpha in its segment. The engineers adapted the cylinders to a newly developed cylinder head and crankshaft to give this bike a powerplant that perfectly fits its sovereign appearance. It packs one hell of a punch for fully loaded tours, has truckloads of torque from the bottom up and hardly ever needs hurried downshifts. Therefore, the 1290 R is equally happy cruising around town as it is giving Superbikes a run for their money when the chips are down. With 160 hp and 140 Nm of torque on tap, of which 108 Nm is already available at 2,500 rpm, we wouldn’t bet against it. LONG SERVICE INTERVALS A unique mix of the highest quality components combined with a fully developed and reliable engine allows extremely long service intervals of 15,000 km. That’s a lot of adventures.